It worked for OoT, didn't it? After the horrible compression artifact issues that the 360 version of FFXIII had, it's a damn good thing they're using in-engine cutscenes. We wouldn't want a repeat of that disaster. So it turns out that the Hope we've seen, is actually a future version. He is 24 years old, and the head of a scientific expedition team. So there could be a "present" version of him yet to be seen. Technology is now at the point where cgi shouldn't be needed as much. The difference between cgi scenes and in-game scenes are sometimes so minimal I barely see the difference. Quite a change from the ff7 days! There's a very noticeable difference. Just look at XIII. 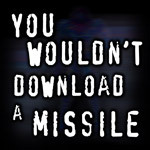 That's actually really dependent on the game (and the game engine I would assume). I also wouldn't say there's a major difference even in ff xiii as each generation gets closer and closer to having "real-time" cgi custcenes. Square do polish their cgi to a crazy extent however so they usually would be the game company with the biggest differences. The difference in the robotic scorpion thing is somewhat noticeable. But I agree with you. Soon there won't be any pre-rendered CGI cutscenes. Square Enix considered releasing downloadable content for Final Fantasy XIII, but canned those plans and made a direct sequel instead. Serah’s story will have downloadable content. Producer Yoshinori Kitase said at Tokyo Game Show they are making downloadable costumes, monsters, and weapons for Final Fantasy XIII-2. Seems like some DLC will be pre-order bonuses, Lawson, a chain of convenience stores will give players a downloadable content code as a bonus. “Square Enix has promised post-release download content for Final Fantasy XIII-2, but it has yet to provide specific examples. Today, we got some hints as Square Enix announced the download content that will be given to those who buy the game at select shops. Pre-order FFXIII-2 from Lawsons or HMV, and you’ll get a download code for a weapon for Serah. 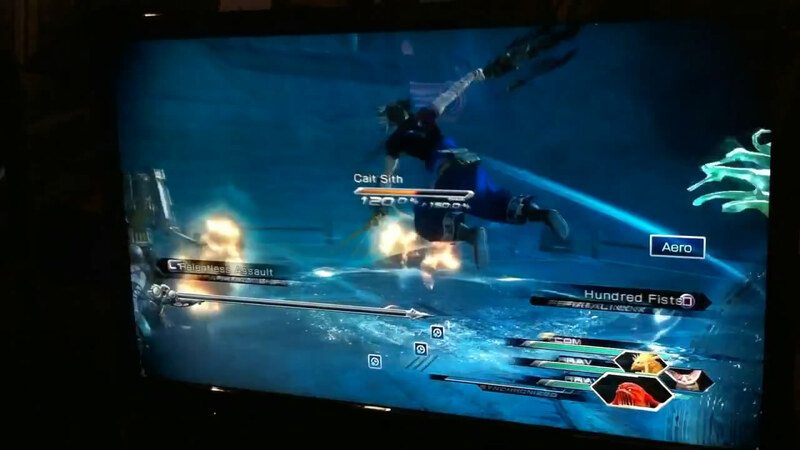 The weapon is an angel’s bow and arrow that converts the damage it deals to enemies into an HP boost for Serah. Sounds like the Blood Sword in Bow form. These preorder initiatives are for North America exclusively and may not reflect preorder content available in other territories. I vote Amazon's as the best! Final Fantasy XIII-2 is getting paid download content. But two questions remain: how much, and how much? Regarding the first how much, producer Yoshinori Kitase told Dengeki PlayStation this week that the game will have a large amount of DLC. As a rough schedule, he said to expect one to two updates every month, each containing multiple items. As for the other how much, Kitase said that they’re not able to speak about the contents’ price yet. He promised a good balance between price and the quality that customers will accept. They said the same thing for Dissidia, and look what happened. Once they hype wears off, it'll lessen. Less than one month until.... Sonic Generations! Uncharted 3! Both coming out on the same day. On a busy week in uni for me. Sigh. /offtopic. Areas with branching paths: towns or proper dungeons, perhaps? Those few minutes are better than the whole of FFXIII. And this is coming from someone who actually enjoyed FFXIII. I've high hopes for this game. 6:48. FANG. FANG FANG FANG FANG FANG FANG FANG!!!!! OH YEAH! Still no word on if he's playable or not. He looks like he plays a fairly large role, so I'd assume he is at some point. You can now switch instantly between Paradigms. This will help out with the pacing during the game’s basic battles, as the focus for these is on speed. For the bosses and tougher rare monsters, however, you’ll need to actively and strategically switch between Paradigms or you won’t win. XIII-2 makes one major improvement to the usability of the paradigm system: the game will now save your paradigm combinations, so you can easily switch them out. Toriyama suggested that the bosses in XIII-2 may be tougher than those of the original FFXIII. However, the game has an Easy Mode, so if you’re having trouble with a boss, you can turn the difficulty down. And if you still can’t defeat a boss, one option may be to temporarily give up and move on to another scenario. Blood damage was added to the game because Toriyama wanted to fix the problem where if you had a healer in your party you could win the battle by just taking your time. Blood damage can’t be healed by healers, although there are items that will recover it. Balancing the battles has been difficult, in part because they don’t know in what state the player will be when they enter a particular area. The team made a special program just for balancing work. The program analyzes the test players’ logs, and can output such things as how the payer defeated the boss. The game is being balanced so that, at the extreme, it might be possible to clear the game by defeating bosses. Of course, you can go the traditional route and build up your characters gradually. The game does not place caps on your characters’ growth. The game will have summon creatures. However, they will not appear in the same form as in the original FFXIII, as the characters are not l’Cie this time. They’ve been working on the presentation side of battles. The original had relatively few character motions, but this time the characters will move around in ways that match the formation. For instance, a defender will move forward and guard. Additionally, each boss battles will have specialized camerawork designed to make give the fight impact. There seems to be quite a bit of variety to the monster collection system. The same monsters will have different growth parameters, with some being fast growth while others take longer. Monsters that have the same role will have different abilities. As previously detailed, you can give your monsters accessories that change their physical appearance. The staff decided to offer interesting decorations even if they don’t fit in with the world. It’s possible to build up your monsters into powerful beasts, as you can make one monster inherit abilities from others. Toriyama said that he’s currently try to make the ultimate monster. This is the first time he’s wanted a strategy guide while test playing a game. Wondering what happens if Serah an Noel die leaving the monster as the sole member of your party? You won’t be able to take control of the monster. When the two human characters die, the game ends.